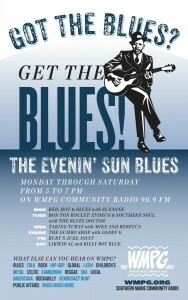 Twenty-five years ago then WMPG Program Director Ed Noyes loved blues music. 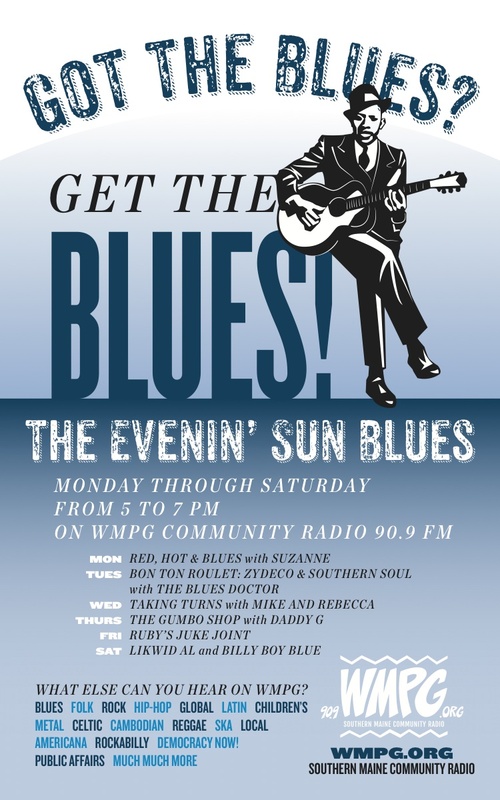 He loved it so much he created the WMPG Evenin’ Sun program, MPG’s flaghip blues show still heard six nights a week from 5-7pm. He also took his love of blues to another level, helping create the Southern Maine Blues Society. To make this love complete he opened his own nightclub called Morganfields which brought the best national blues acts to Portland. The club was located where the Asylum now sits. Morganfields was nationally known as a club to play at with it’s wonderfull atmosphere, sound and local support. Well here we are twenty-five years later and Morganfields has moved on but the blues lovers in the area are still enjoying the blues with the Evenin’ Sun shows and the Southern Maine Blues Society is now known as just the Maine Blues Society. To celebrate these twenty-five years they are putting on a 25th Anniversary Celebration and everyone is invited. The Maine Blues Society would like you to know that in celebration of the 25th anniversary of the Maine Blues Society, they cordially invite you to attend an event to honor our founding members. We are excited to have been part of the American blues music scene for the past 25 years and wish to express our gratitude to those who put in the effort to create and foster a community here in Maine that continues to encourage a passion for The Blues as the one true American art form. Current and former members of our society, such as yourself, continue to support the proliferation and popularity of Blues music and we are going to celebrate those efforts on Sunday September 7th, 2014 beginning at 1pm at The Tailgate, 61 Portland Rd, Gray, ME. There will be appetizers provided….